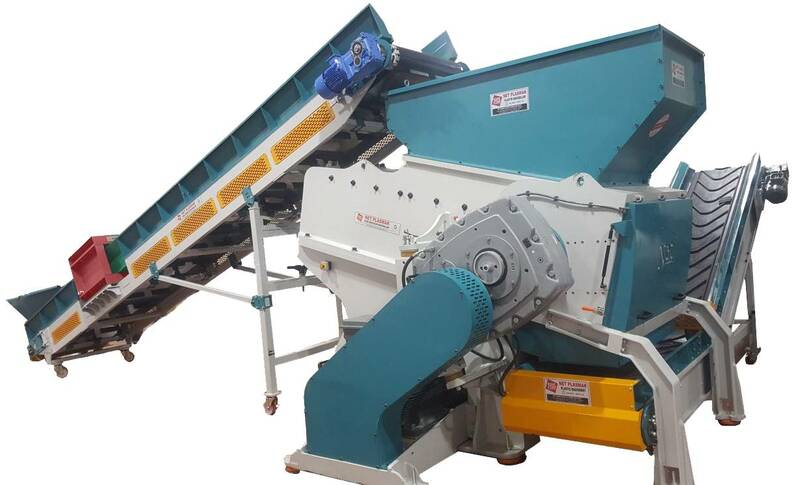 Waste materials which is very large in size or resistant to cutting action of other types of crushers and shredders can be recycled with single shaft shredders. Small sized rotating blades of single shaft shredders tear a small particle of material in each pass. By this way hard to process material sizes can be reduced easily and effectively. They are constructed very strong to last longer. Single shaft shredders are equipped with sieves. By changing with proper hole sized sieves, output material particle size can be determined.